Yesterday, we evaluated Home Depot. In the past five years, Home Depot posted 9-7, 10-6, 10-6, 11-5, and 11-5 records. How did Lowe's perform? They're a major competitor to Home Depot. Home Depot's 9-7 / 10-6 / 10-6 / 11-5 / 11-5 five year trend compares well to Lowe's trend of 8-8 / 7-9 / 9-7 / 9-7 / 9-7. 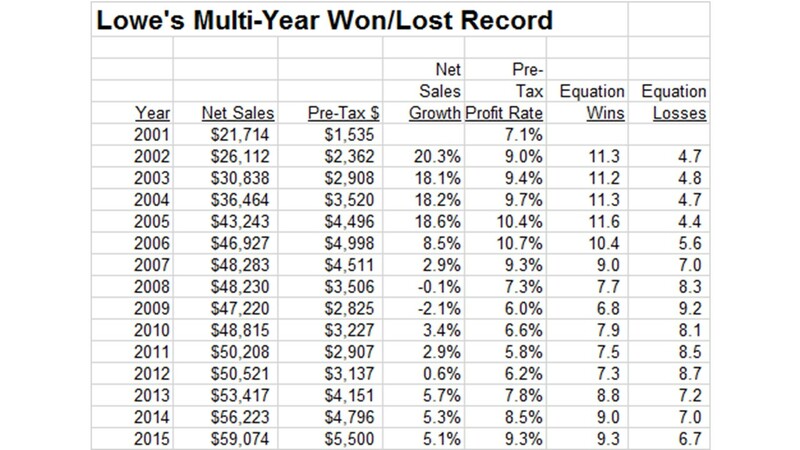 On average, Home Depot "wins" 1-2 games per year more than Lowe's ... they're a better run business, aren't they? In fact, Lowe's has not had a "playoff-caliber" year since 2006. The framework allows us to see how we stack up against other brands. The framework removes all the "yeah but" stuff we get when folks defend business performance. Are you interested in your own Hillstrom's Rebuild project? Here's what you get. 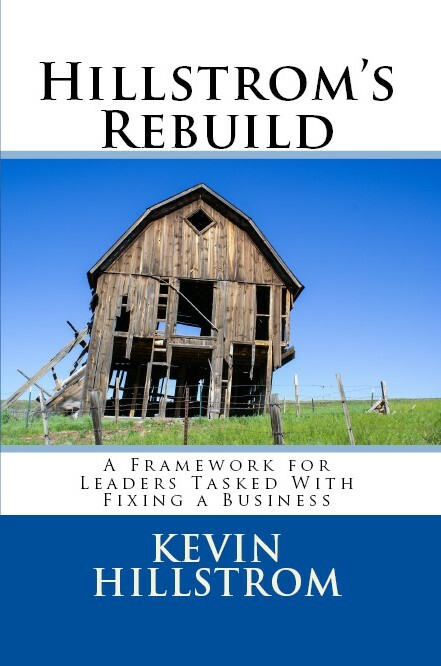 Your own copy of Hillstrom's Rebuild, now available on Amazon (click here). 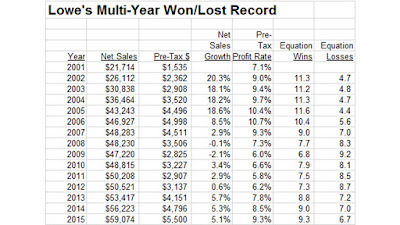 An evaluation of your Won/Lost record, provided your financial team will release net sales and pre-tax profit data. A rolling twelve month evaluation of your business. 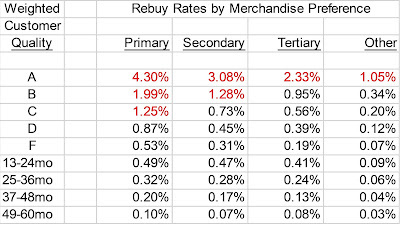 A 2x buyer and new + reactivated buyer comp segment analysis of your business. A life table analysis of how 1x customers convert to 2x status. 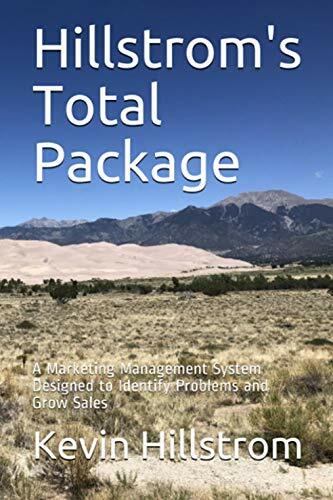 A mini Digital Profiles analysis to understand how your marketing channels and merchandise categories fit together. A mini Merchandise Forensics analysis. An evaluation of how 1x buyers convert to 2x status via a Lifetime Value Simulation #LTVS. Click here for project pricing and file formats. FIRST TWO CLIENTS TO SIGN UP FOR A REBUILD PROJECT GET TO ENJOY 20% OFF ... AS YOU KNOW, IF YOU ARE ON THE LEADING EDGE OF NEW METHODOLOGIES, YOU BENEFIT VIA REDUCED COSTS!